Giglets is an innovative online platform focussing on Literacy development for pupils, teachers and schools. Giglets is designed with teachers, pupils and parents in mind. A library of ebooks supported by cross-curricular learning resources, provides the bedrock for a personalised and powerful learning experience. 2. Who can use Giglets ebooks and resources? Giglets teaching resources are formally aligned with curricula for nursery, primary school and early secondary school levels. Teachers, parents and pupils aged 3-14 enjoy teaching, reading and learning with Giglets. Giglets is used by schools in England, Scotland, Wales, Ireland, Switzerland, the Middle East and Australia at present. Giglets Education works with governments, local authorities, teaching clusters, public and private schools, as well as The Hunter Foundation. Giglets is embraced by teachers looking for a way to engage and inspire a new generation of readers, writers and listeners as they deliver their respective curriculum. 4. What training and support do you offer? Getting Started Session: A 60-minute online or over-the-phone call with your school’s lead on Giglets, plus up to five other members of your team. We know how busy your school day can be, and thus we can arrange for this at a time of your choosing. Early mornings, evenings and weekends are not a problem for our dedicated team. Online FAQs: FAQs can be found on our website. These are a great way to get to grips with Giglets at a time that works for you. Telephone and Email Support: Monday to Friday during the UK school term between 0800 to 18:00 (except on UK bank holidays). You can contact us and/or call us on +44 (0)1224 539002. 5. Which curricula does Giglets cater for? If you are interested in Giglets for any curriculum framework not listed above, then please do get in touch. We are actively looking for partners in new markets and always keen to explore how we can add value to your teaching and learning frameworks. 6. What accreditations does Giglets Education have? Giglets Education is a multi-award-winning business – please see here [link to awards] for some of our awards. We are members of BESA (British Educational Suppliers Association), Future Leaders of Entrepreneurial Scotland, and the Ayrshire Chamber of Commerce and Industry (ACCI). Moreover, we are an alumnus of Entrepreneurial Spark, and of Scottish EDGE. We work with the Welsh Education Department, Education Scotland, Creative Scotland, Publishing Scotland and Digital Scotland, among others. In partnership with East Ayrshire Council, The Hunter Foundation and Early Bird Social Media, we deliver the Scottish Qualifications Authority (SQA) qualification Level 6 ‘Social Media Marketing for Business’. 7. Do you update the content and add new content? The Giglets library is always growing. We know how important it is to have new and exciting materials to complement your curriculum delivery. We release hundreds of new educational resources and ebooks each year. Within the product area covered by your Giglets licence, these additions and updates are included at no cost to you. 8. How do we know when new content is made available? Within your Giglets account, we will announce new content, such as under ‘New Books’. You can also register for our Newsletter here and find announcements on our Social Media sites. 9. What devices does our school need to run Giglets? Giglets is device and browser agnostic. You can access Giglets on most modern PCs, tablets, laptops and notebooks. Mobile devices can access Giglets too but we’d always recommend using a computer or tablet for the best teaching and learning experience. When using tablets, a 10” or higher Apple iPad is best, though both IOS and Android are supported as tablet and mobile operating systems. 10. What network and technical infrastructure does our school need to run Giglets? 11. Can pupils access Giglets outside school/at home? Absolutely. Pupils and teachers have access to Giglets from home or anywhere that they have Internet connectivity. Giglets uses modern security features, and the security of our users is paramount. We comply with the UK and European Data Protection Laws. Giglets contains minimal pupil information and we have a dedicated support team ready to deal with any server issues. Data is also continuously backed up. 13. Can we integrate with any MIS/SIS/VLE and LMS? 14. How do we keep up to date with the latest versions? The brilliant news is you get all of our updates automatically. You don’t need to install or manage anything in that respect. That is the beauty of a web-based product. We’ll email your Account Administrator in the school with the relevant release notes. 15. How much does Giglets cost us? How can we pay? 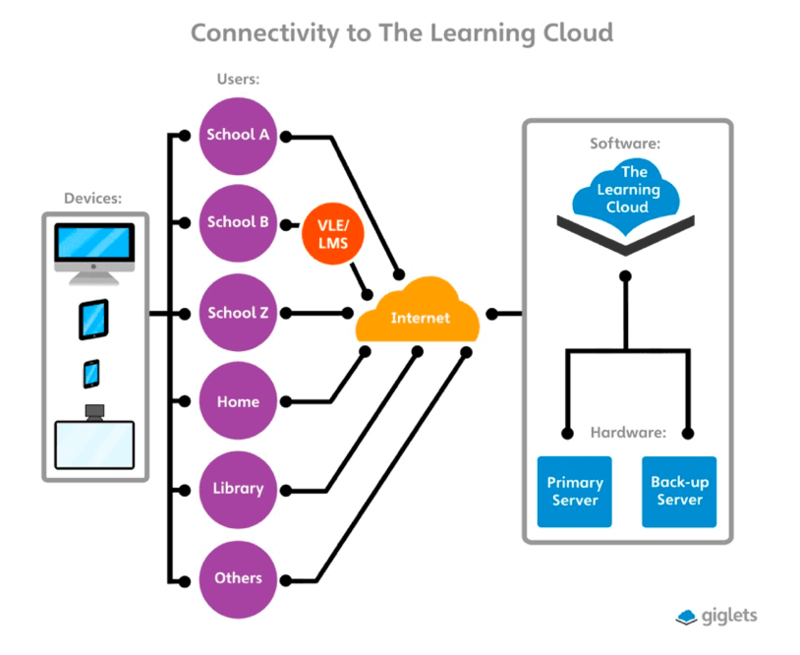 Giglets is offered as a subscription model to schools, for one or more years. Giglets Education encourages schools to commit to 3-5 years, to improve planning and strategic development and also to demonstrate impact and continuity to staff and pupils. Giglets Education believes in offering excellent value for money as well as providing flexibility in managing payments. We can reward you for making the full payment at the beginning of your contract or we can spread the payments annually across the term of the contract. For a detailed quote and information, please Contact us. We are happy to discuss the various options while organising a Giglets demo for you. 16. Are discounts available for smaller schools? 17. Do new ebooks and resources cost extra? No. You will receive new updates, ebooks and resources as part of your subscription. Giglets Education likes to keep things fresh, continually innovate and respond to your needs. As we are developing Giglets, what you are likely to find in the future is that we will offer totally new modules covering different curricular areas for which we might charge separately. 18. What is the minimum length of a Giglets subscription? Our minimum subscription length is one year but we always encourage our schools to commit to working with us strategically for 3-5 years to ensure the best value for money and opportunity for impact. 19. What happens at the end of our subscription? If you have a contract with a pre-agreed automatic renewal, your contract renews automatically and you do not need to do anything. If you have a contact with a fixed end-term, we will contact you three months before the end of your subscription to remind you to renew your contract. If you do not want to renew, you need to let us know then, and we can help you manage archiving of pupil work. You can restart a subscription at any time. 20. How can I cancel our subscription? You can cancel your subscription within the agreed notice period, as defined in our standard terms and conditions, by contacting us here. We would of course be sorry to see you go so be sure to have a chat with us, explain your reasons and let us know if there is anything we can do to keep you onboard at Giglets. 21. Can I share my account with others? We love to share but your account is unique to you. Each user has their own login details. If two people login at the same time with the same details it will log the first person out. Keep your details safe. Your school admin account can control all pupil and teacher account details. If you need more admin accounts for staff then contact us and we’ll get that sorted for you right away.